If you have kids, take them down the long hallway to their classroom (depending on their ages.) 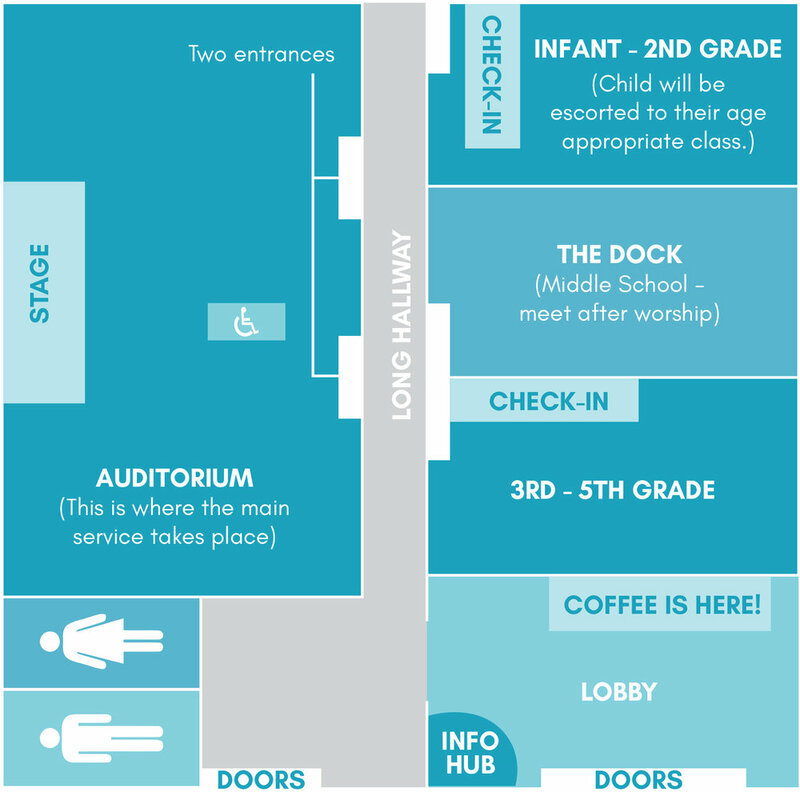 If you don’t have kids then enjoy some coffee in the lobby and head towards the auditorium to find your seat. Service starts! We begin each service by worshiping together and taking communion. Around this time the worship service transitions and we get an update on the events coming up. If you have middle schoolers, they will head out to The Dock at this point, (they’ll release them after announcements.) This is followed by a quick meet and greet. Once smiles and handshakes have been shared we dive into our teaching.